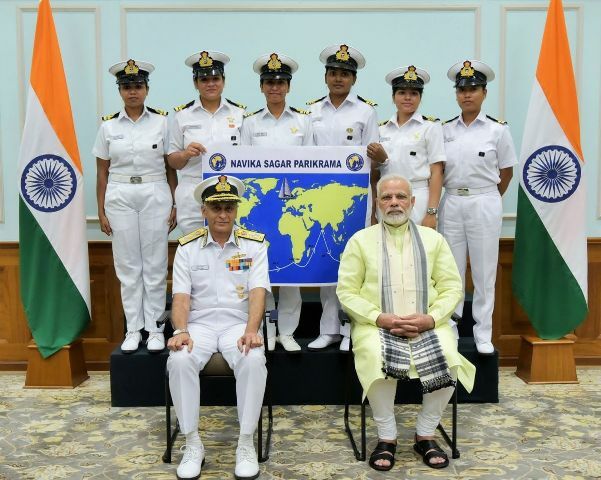 India is no behind in witnessing the dawn of a new era for women seafarers. Besides the academic qualifications one must also possess certain personality traits and skills to work on a vessel. Here are the top 5 qualities every woman seafarer must possess to carve her way to success. Adaptability: One of the most important qualities required to survive on a ship is adaptability. It becomes necessary for the women seafarer to be able to adapt to both social and professional surroundings of the vessel. On ship, seafarers come from all over the world with diverse cultures and hence she must be able to connect with all to work effectively. Also being at sea, means being away from home hence the sooner one adapts to new surroundings the lesser one feels home sick. Following and understanding command/ instructions given by superiors on board is a must for better discipline on board. Leadership: At sea, every seafarer has to be a leader. Regardless of his or her position or level, a seafarer will undergo extreme situations where they will have to lead and solve problems. In the challenging environment, this job requires a willingness to lead, take charge, and provide direction to others co-workers on board. It becomes extremely vital to be self-motivated as well as able to motivate others. Effective Team Player: In order to work effectively on board with co-workers with various responsibilities and ranks, one has to be an effective team player. Teamwork allows free flow and exchanges of ideas, knowledge and information which eventually improves operations and produces rapid results. Being a team player is an essential element of gaining and building trust amongst each other thereby creating a culture of interdependence within the group. Go getter attitude: Being a woman seafarer is a tough job because woman may constantly feel the need to prove themselves. This may actually be positive because that makes the women seafarers strive harder, aim higher and do better than the others. A woman with a go getter attitude will be able to do her best, be open to challenges and push her boundaries. More importantly, she will focus on achieving her goals without getting frustrated by the roadblocks in her way. Helping yourself and fellow seafarers will make you a success on board. New skills: Technology has fundamentally altered the role of seafarers. With the changing work environment at sea and technological advancement in marine systems, a woman sea farer with new skills will outshine all and have more chances to be successful. These new set of technologically advanced job profiles will sooner be the cream of maritime jobs. Hence it’s necessary for the upcoming seafarer to evolve their skills to meet the advancement of technologies deployed on board.